The quest for the release of Nnamdi Kanu the leader of Indigenous People of Biafra who was arrested and detained since October last year is gathering momentum and unusual support as Bishop Paul Nwachukwu announced yesterday the 18th of September during a Church service that all the Church members should stay at home and never come out on Friday being 23rd of September. He further noted that nobody should even come to the Church on that Friday but sit at home and resume anything or activities the next day. 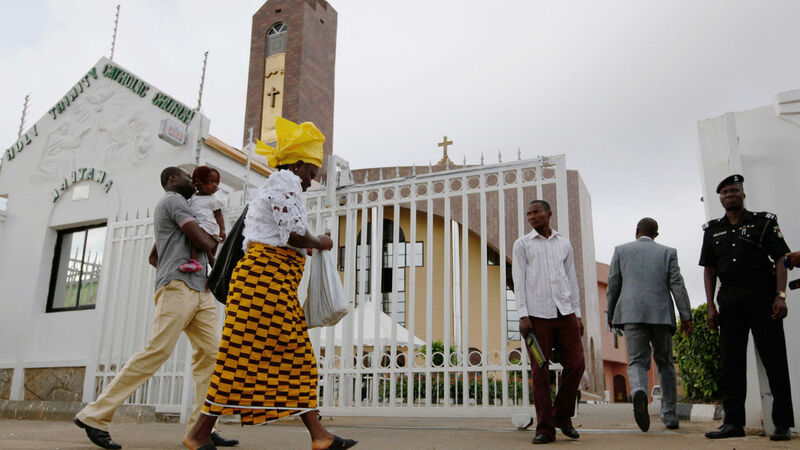 The announcement was made at the Church Headquarter located along Onitsha-Otuocha express way during a Church service. The Indigenous People of Biafra had announced a week ago that 23rd of Friday shall be a protest day; where the entire people of Biafra will sit at home in solidarity for the campaign for the release of Nnamdi Kanu. Having avoided violence despite provocations so far; the people of Biafra have chosen to use everything possible to press for the release of their leader. The declaration for sit at home came when the economy of Nigeria is in coma and as expected, the protest will cripple economic activities in Biafra land; Nigeria will have its wound to lick for detaining Nnamdi Kanu. There has been criticism based on lack of support from the political leaders in Biafra and their religious Leaders who have done less or nothing in stopping the gruesome murder of the innocent people of Biafra agitating for the release of Nnamdi Kanu and restoration of Biafra. In spite of the fact that Nnamdi Kanu seems to be an opposition to the Islamization of the people of Biafra; the Church has done nothing in facilitating his release from illegal detention. The more deadly occurrence was the genocide that took place on a prayer session which would have been a benchmark for the interference of the Church but yet, the Church allowed such profanity to go away without putting up visible condemnation. The tide seems to be changing as Bishop Paul Nwachukwu has called on his members to be disciplined towards the sit at home order by Nnamdi Kanu the leader of Indigenous People of Biafra, this support for the release of Nnamdi Kanu could be a game changer having seen among religious leaders. According to an Evangelist in the Church who attended the Church service and who spoke to this reporter-Ifeanyi Chijioke on the condition of anonymity due to fear of being shot or arrested by the murderous Nigerian security agents under the command of Buhari stated that the Bishop made it clear that nobody should come out on 23rd being Friday. I don’t want to mince words and I want to make it clear that Daddy really announced that nobody should come out on 23rd being Friday. He even said that nobody should come to the Church if the Church is what will make you not to sit at home. Daddy is more conscious of the safety of his people and that is what is behind the warning or rather announcement. The Nigerian forces might shoot as usual due to frustration or there might be risk. You might as well interpret this as support for Nnamdi Kanu and why won’t Daddy support a man illegally detained? Nnamdi Kanu bears no arm or neither do Biafrans constitute a nuisance under his leadership; the Bible has respect for the just and this is why your interpretation is right” he continued. Meanwhile, this might be a wakeup call to Muhammed Buhari and his government to understand that the more Nnamdi Kanu is detained is the more the quest for the restoration of Biafra is gaining support and sympathy. There is visible foolishness in detaining Nnamdi Kanu and giving millions of people of Biafra not detained a reason to keep agitating. The continued detention of Nnamdi Kanu serves as a driving force and neither will it end soon until he is released and dialogue initiated for the restoration of Biafra.